We all know that Flo Rida can make club bangers. Tracks like "Right Round" and "Available" are fluid and frenetic musical contagions that signify sweaty bodies and sweet drinks. 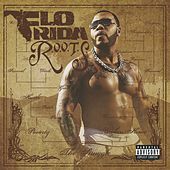 The songs fester in the public consciousness long after the strobe lights have faded, and their success has made Flo Rida one of the bigger singles artists in recent memory. He does attempt to expand the approach here, aiming for the inspirational on "Rewind" and crafting a more full backstory with the title track, and it's not entirely unsuccessful.